“Power? Football? Oh my goodness that sounds awesome enough to be a mini crappy boring 1d flash sports game.” If you had that kind of impression or thought upon reading the title of the game that I am about to review, prepare to be wrong, well it was for me. At first I thought it was another boring sports flash game that people play when they felt like dying. Usually flash games are small and fun for the moment; only some are extremely addictive and keeps players hooked up on it. In addition, sport flash games are mostly horrible, only around 1% to 2% of them got me excited; power soccer being one of them. 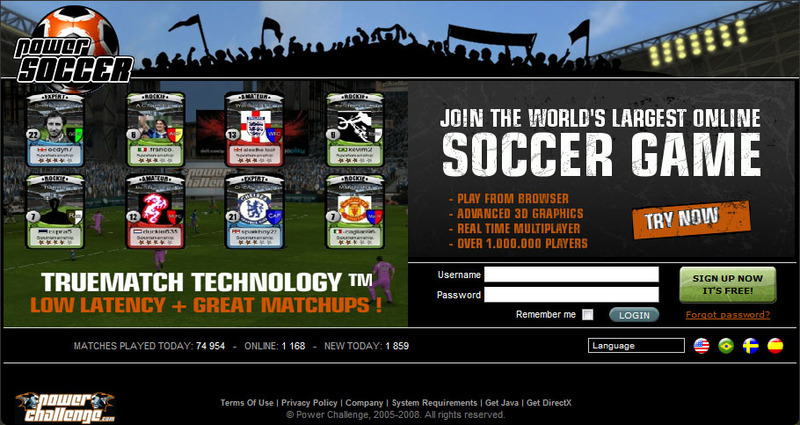 The only exception is that it is an online awesome addictive free soccer JAVA game. Yes, you heard me right! It is splendid for a little small game. 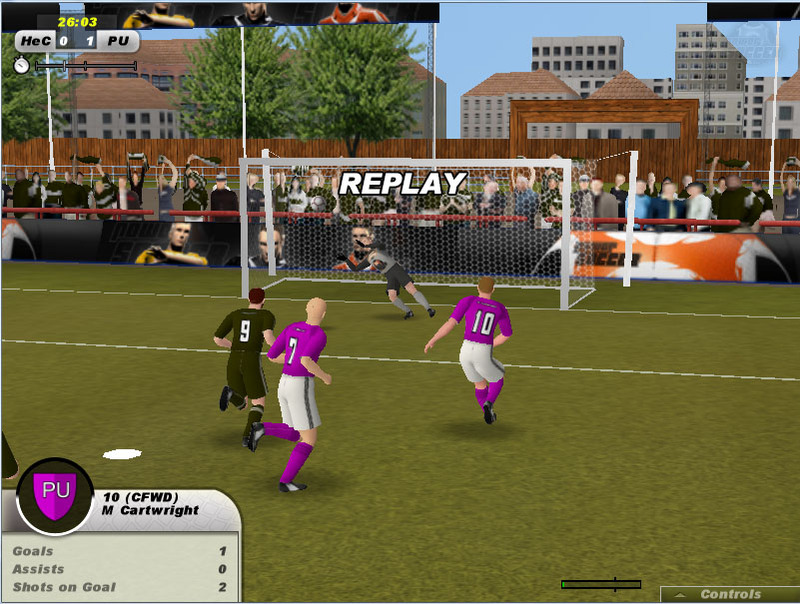 Power Soccer is based mostly on online play with people you know or just with everyone or anyone all around the world. It is a sports game and like its name, it is all about soccer. You manage your own team and it starts out as sucky as you are. It is logical for a new player to be fitted and paired with new “in-game players”. However, as you progress throughout the game winning and trashing teams that come into your way, be prepared for your team to LEVEL-UP. Just like MMOs this game is awesome that grinding (playing matches to gain experience points) helps your team to GROW UP. Upon leveling, you get attribute points for each of your player to add. You can add from several different attributes making him the legend you want him to be. Of course if you are wise enough you don’t add tackling attribute for a striker. No it isn’t right for a legendary defensive striking tackler. The game is as simple as it can get. With only a few different keys you can start scoring goals like you have never seen before. Goals that are within the penalty box that is. You can pass, shoot, lob, tackle and slide. The keys are simplistic and easy to get used to. The match engine however is still under development. Several key features such as cards are not present, heading and some other stuff you would definitely notice if you played it. However, it is still impressive to note that for such a small java game, it had rules of fouls, penalties and even an offside system. Yes, offside is present in the game. The ability to save and view highlights is definitely something extremely exciting to look forward to. You can save how you tackle the opponent keeper and then kicking the ball onto the keeper making the ball bounce back or whatever. There is also an instant replay for good shots and goals. For so much in such an unexpected small java game, it is simply fantastic. Glitches and bugs do exist in the game, with rather poor gameplay if lag is present. However, what is really innovative about the game is that the game is presented in a way of an MMO (massive multiplayer online) game. 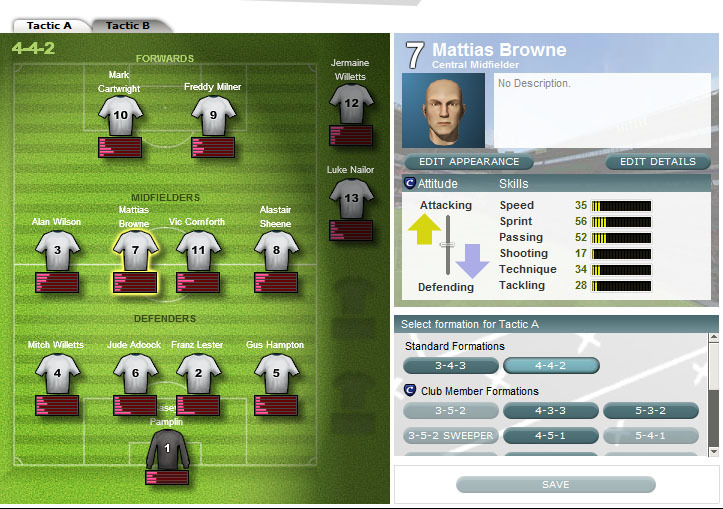 With levels and stats explained earlier, you also get to design your own badge or team kit (members only though). 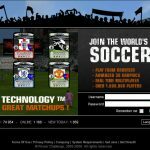 There are cups, leagues, ranked matches as well as the normal friendlies all giving you experience once played. 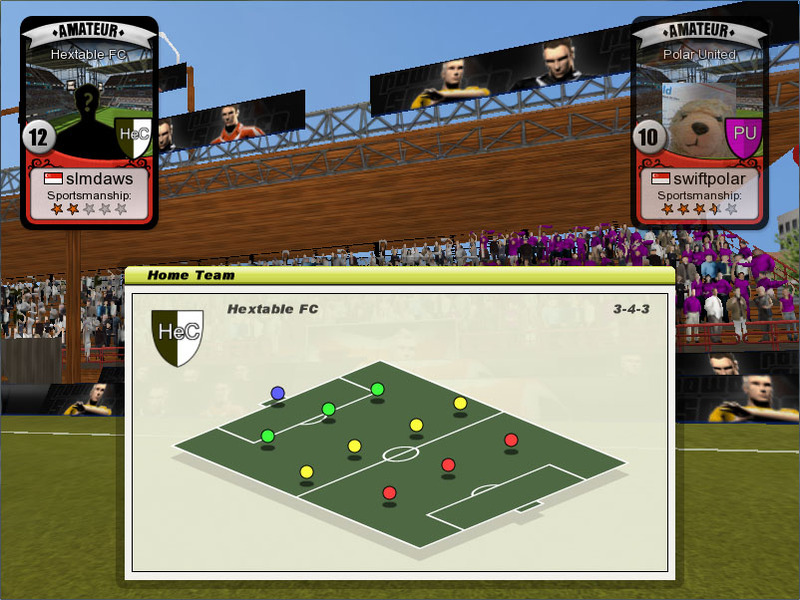 You get to adjust and edit your team tactics, write opinions about other teams and even rate the teams after having a tough match with them. It is simply good for a game of that small, just extremely unexpected. Talking isn’t going to do much of a help unless you try it out yourself. Do yourself a favour, just give their game a hit and tell me your comments either through the site or even talking to me after having a match in-game. 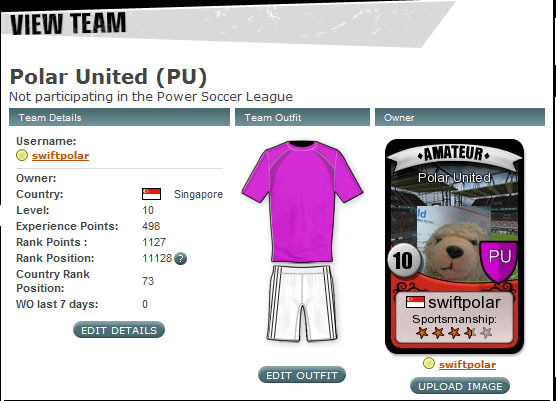 My username: swiftpolar is ready to take you on. Please just don’t trash me, I feel bad. For now, you might want to see some of the screenshots I made of the game, enjoy. damn u knocked me out of asia cup. No lah. These games I like so i review. and power soccer, i got sian after a while and i found out this game far before you! jave games are so cool eventhough they do not have fancy graphics.*,. Power Soccer even if many people play it , it has many faults , like when the ofside part it stops the game after you tacle and pass away everybody and face the keaper it comes an the word offside and stops your action and lose energy ,when you make a faul you tacle near you opponent player and even if you dont touch the other player you would pay a freakick and even if it wasn t intentional. On the hole it groups all people together even do when someone is losing he qiuts the game like cowerds .